The subsequent event has been largely forgotten – and rarely shown in film adaptations. When the queen receives her daughter’s viscera, she decides she’ll have them salted and boiled, then feasts upon them with epicurean pleasure, convinced that they’re Snow White’s. The root of her pleasure rests on two facts: she has obliterated her daughter, her rival, but also, crucially, this anthropophagic act preserves the essence of ritual cannibalism – the ancient belief that eating the enemies’ flesh was a source of spiritual and physical strength. By eating Snow White, she believes she will embody her characteristics. The choice of organs is relevant: lungs represent the breath, the spirit; and the liver is a symbol of purification, as it cleanses the blood. 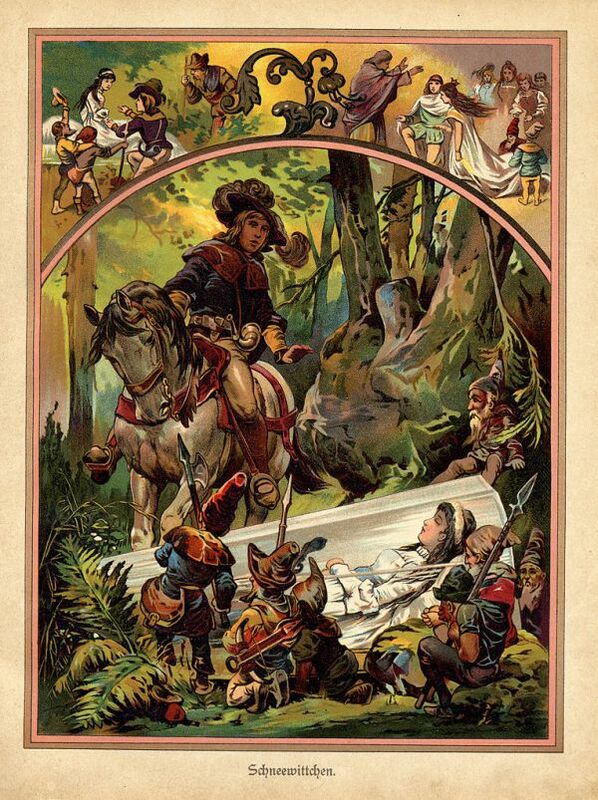 In The Hard Facts of the Grimms’ Fairy Tales, Maria Tatar points out that different versions include different “gifts”: the most remembered one is the heart; but in Spain, it’s “a bottle of blood stoppered with the girl’s toe”, whereas in Italy, the huntsman must return with “her intestines and her blood-soaked shirt” or her eyes and a bottle of her blood. That's interestingly morbid, I'm intrigued. I must look into Chinese fairy tales then. The even earlier Chinese version of Cinderella was tres creepy. The king never even met the girl at the ball, but was obsessed with a woman who left such a small shoe behind- a reference to bound feet. Oh yeah, and her mother ate her best friend. Not the only fairy tale with dark origins. In Cinderella's story, in order for the two stepsisters to try and fit their feet in the glass slipper, one cut off her heel while the other cut off her toes. Later on, in Cinderella's wedding, birds gorged her stepsisters' eyes out. I believe Little Red Riding Hood also had some kind of metaphor. And my professor told us that these stories usually ended in this way: "And if they weren't fortunate enough to have lived, they would have died a gruesome death." Scariest Disney film to date. "The Dark Origins of the Tale of Snow White"